Savvy Spending: Toys R Us: FREE LEGO Beauty and the Best mini build on 3/25! 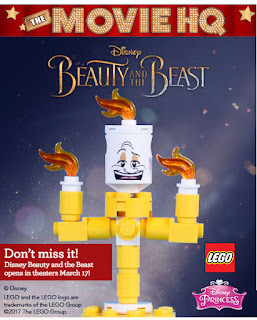 Toys R Us: FREE LEGO Beauty and the Best mini build on 3/25! Toys R Us will be offering a FREE LEGO Beauty and the Beast Movie Launch Party. On Saturday, March 25 from 1-3 pm, kids ages 6 and up can make a FREE Disney Lumiere Character!